He was born on Oct. 9, 1940, in Chicago, to Felix and Josephine (Vonesh) Guzik. He attended schools in the Chicago area and then enrolled in Loyola University. From Loyola he received his BA and then his MBA. Philip owned and operated his own insurance agency for quite a number of years. He also taught elementary school and had managed the Pine Lake Thrift Shop. Philip moved to the Rhinelander area and eventually met Bettye Riddle. On July 19,1980 they were married here in Rhinelander and they enjoyed 38 years of marriage. In his spare time Philip enjoyed reading, fishing and woodworking. He was a member of the Nativity of Our Lord Catholic Church and also the Knights of Columbus. Philip is survived by his wife Bettye, his daughter Laura (Zach) Guzik-Cohn, his sons Philip (Melba) Guzik and Tom Riddle; nine grandchildren , seven great-grandchildren, his sister Eileen (Tom) Rozhon, his special friends Tony, Ray, Jim, Dan, Tom and Joni; other family and many friends. He was preceded in death by his parents and a daughter Tammy Marks. A Mass of Christian Burial will be held on Thursday, March 28, 2019 at 1 p.m., with visitation from noon to the time of services, all at Nativity of Our Lord Catholic Church. Father Kevin Farrell will officiate. Interment will follow in the Northland Memorial Park. 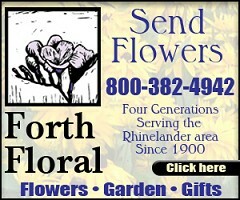 You may leave your private condolences for the Guzik family at www.carlsonfh.com. The Carlson Funeral Home (715-369-1414) is serving Philip's family. I am so sorry for your loss, Bettye. May Phil rest in peace.